hi everybody! we are doing great! many israelis and french have donated directly to my bank account so im reducing again the amount on leetchie! updates on madou's health coming soon. keep following us! i write to you in request to help me save madou's life. 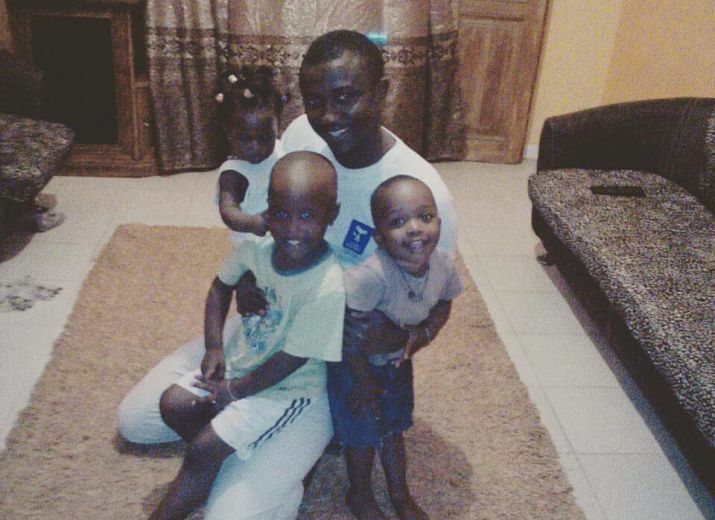 madou is a young father of 3 young kids (the oldest is 7 years old). he is 40 years old and until one month ago was considered as a lucky man. having a good stable job in senegal is not an elementary thing. madou is working for us for ten years now and i can describe him as a hard working man, positive and profesional, and above all, a very good human being. one month ago madou felt a pain in his stomach, so he went to the doctor who found immediatly a tumor in his liver. further checkings led the local doctors to belive that its an CHC - cancer of liver. the doctors also said he should be operated asap but if he will be operated in senegal he'll die. me and my colleagues gathered some money and sent him to france for further analysis. than we learned that a surgery in france will coast 24,000 euro. we ask you to give whatever you can and join us in a humanitarian effort to save our brother. his wife and three kids are totally depending on his survival, without him they are in the street. we would also like you to share this story with your friends and call them to donate. כל הכבוד! הלוואי והוא יחלים במהרה ויחזור אל משפחתו ואל השגרירות! Good luck and hope you get well soon and be back home safe with your beloved family. RefoAa ShLema from Israel! thank you for your security contribution. God bless you and your family.